I have an exciting announcement! Look what arrived! Squeeeeee! 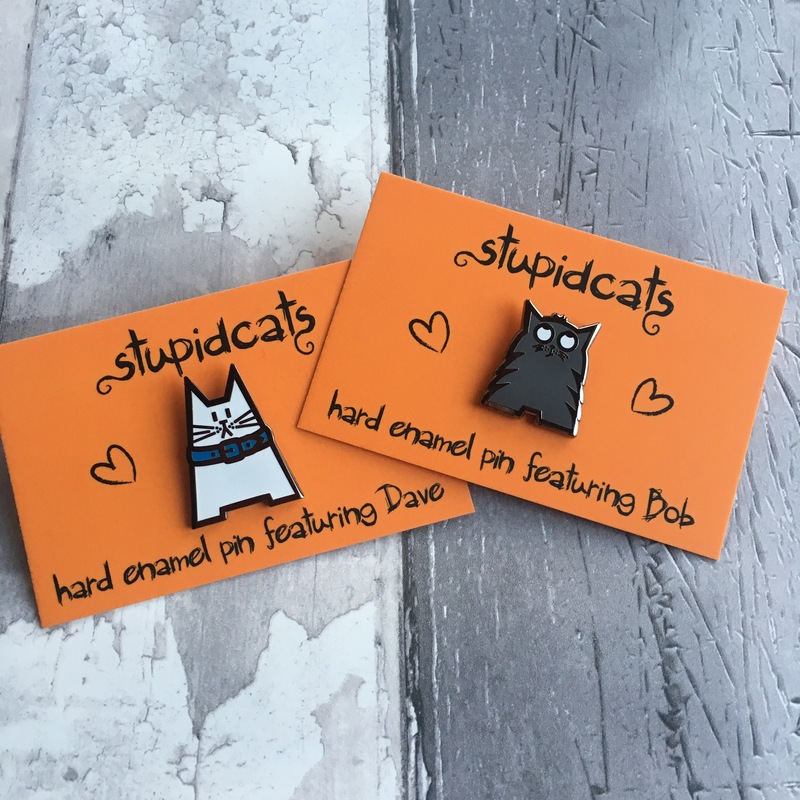 Dinky little hard enamel Dave and Bob pins! They’re so cute! 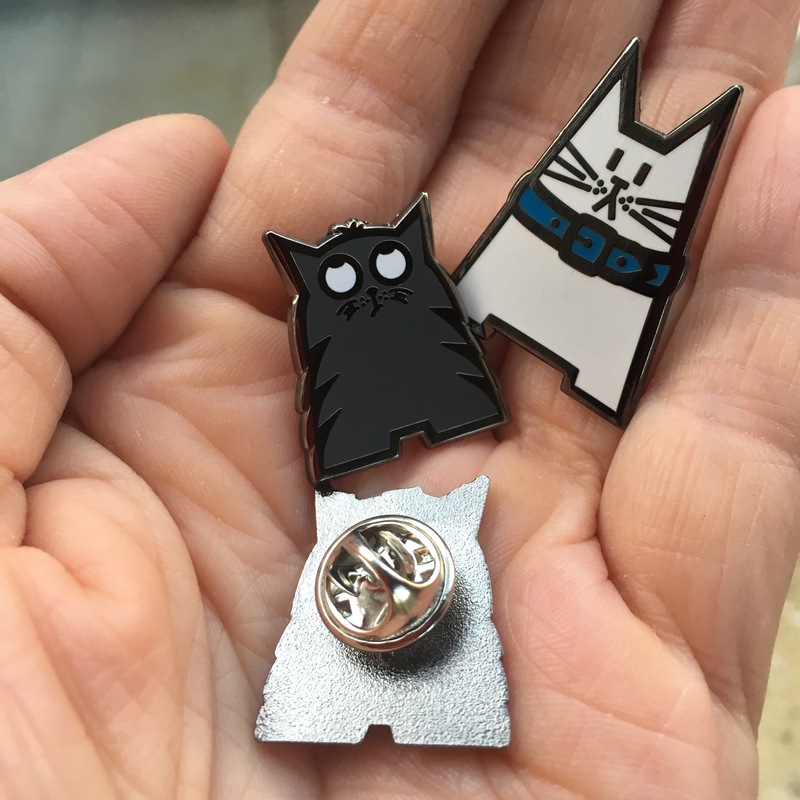 They’re both available now in my Etsy store, and are £7 each, or £12.50 for both, and ship worldwide – they’re just the thing to pin onto your jacket, jumper or bag – but please don’t try to pin them on your cat! As there are only a few days left of this year, I’d like to thank all my customers for their support in 2016, and to wish you all a happy and healthy new year – see you all in 2017!